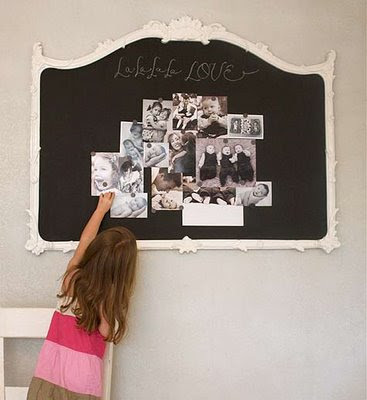 Ever since I saw Penelope, I have wanted a chalkboard with an elaborate lacquered frame. Seeing this one over at Little Green Notebook has me itching to start hunting for the perfect frame for a DIY project. Look for an old headboard at a garage sale. They make great chalkboards. And for cheap!